Public Health 2017 is a premier inter-multi-trans-disciplinary forum taking into account with different ideas and opinions about health care conferences Public Health, Public Health Careers, Public Health Services, Public Health Nutrition, Nutritional Epidemiology, Nutrition and Metabolism, Nutrition and Biological Systems, Nutrition and Infectious Diseases, Nutrition and Non Communicable Diseases, Nutrition Deficiencies and Malnutrition, Nutrition and Systemic Disorders, Nutrition and Health Policies, Nutrition and Health Education, Nutrition and Care. 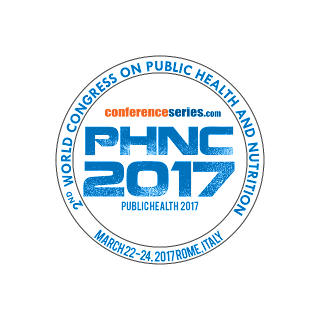 Conferenceseries LLC, USA in conjunction with its institutional partners and Editorial Board Members, is delighted to invite you all to the 2nd World Congress on Public Health and Nutrition going to be held in Rome, Italy from 22 to 24 March 2017. World Heart Day on 29 September is the world's biggest platform for raising awareness about cardiovascular disease (CVD). World Heart Day is the World Heart Federation's biggest global awareness raising platform for cardiovascular disease. Since it was launched in 2009, it has grown rapidly and now enjoys huge global participation and support. World Rabies Day is celebrated annually to raise awareness about rabies prevention and to highlight progress in defeating this horrifying disease. 28 September also marks the anniversary of Louis Pasteur's death, the French chemist and microbiologist, who developed the first rabies vaccine. Today, safe and efficacious animal and human vaccines are among the important tools that exist to eliminate human deaths from rabies while awareness is the key driver for success of communities to engage in effective rabies prevention. The theme for 2016 is Rabies: Educate. Vaccinate. Eliminate. which emphasises the two crucial actions that communities can do to prevent rabies. It also reflects the global target to eliminate all human deaths from dog-mediated rabies by 2030. 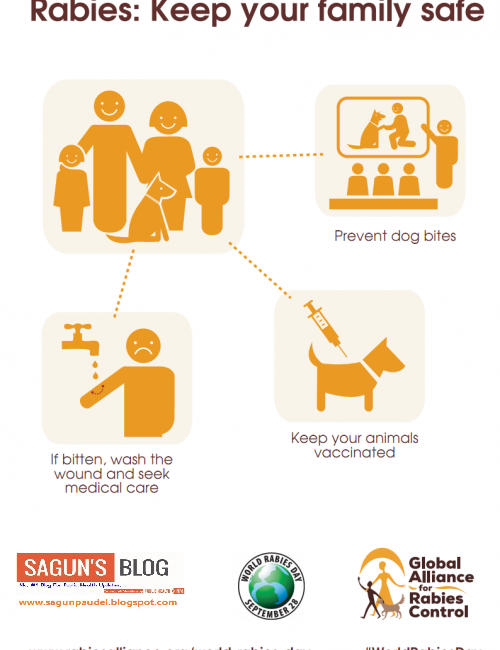 Rabies: A preventable disease Rabies, passed to humans primarily through dog bites, is always fatal by the time its symptoms start, but it is entirely preventable. 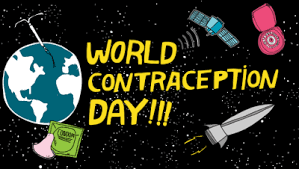 World Contraception Day (WCD) is annually observed on September 26. This day was observed for the first time in 2007, when it was initiated by coalition of 16 international family planning organizations. All international non-governmental organizations, that support observance of World Contraception Day, have a vision of a world where every pregnancy is wanted. Observation of this day raises public awareness of the means of contraception. WCD’s mission is to improve awareness of contraception and to enable young people to make informed choices on their sexual and reproductive health.